Berwick Shipyard website is extensively illustrated, and as well as the histories of the principal companies which worked in Berwick, it includes detailed lists of the ships which have been built in the town, and many of their stories. 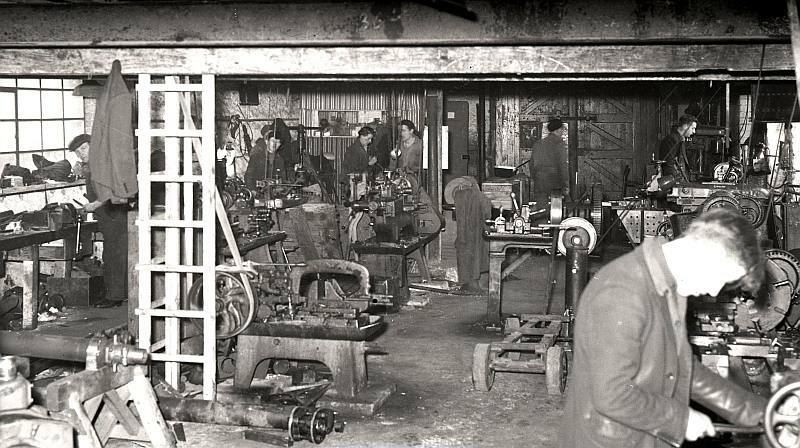 The engineering shop at Berwick Shipyard, taken in the mid-twentieth century. © Berwick Record Office, BRO 1944-1-253-3. Banner images: (a) Berwick Shipyard workers look on from trellis scaffolding as the boat alongside the Island Waters is launched in September 1962. © Berwick Record Office, BRO 1944-1-3536-33; (b) The engineering shop at Berwick Shipyard. © Berwick Record Office, BRO 1944-1-253-3.